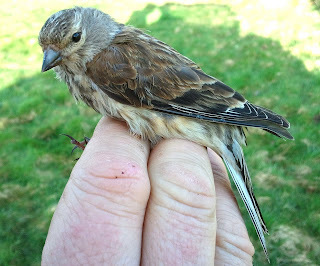 A lovely morning's ringing was spent at Arthur's farm at a slightly different location in scrub/heath. 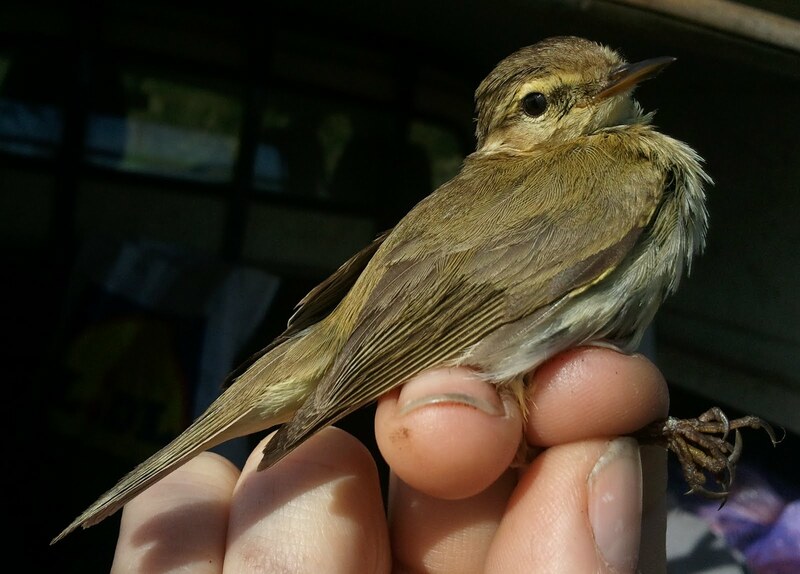 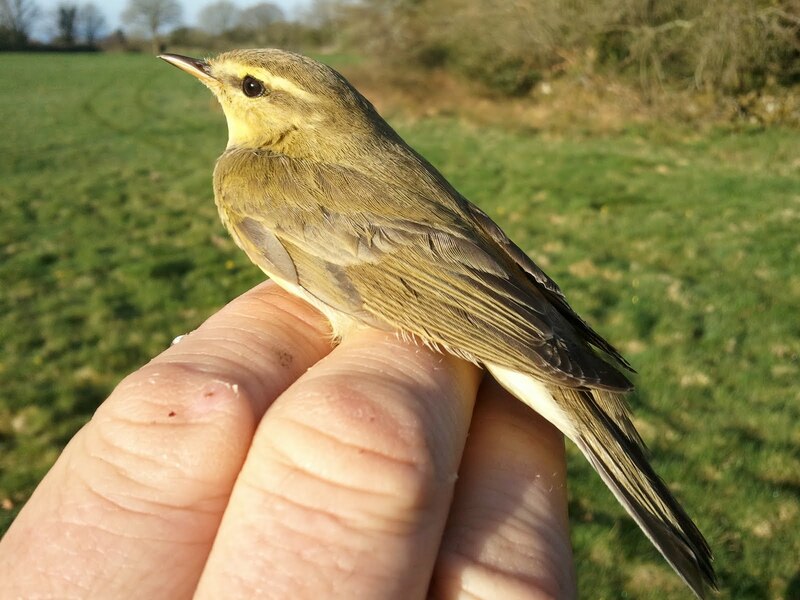 13 species caught in total with the main 'targets' being Willow Warbler which were singing all around the site and are certainly now in for the summer. It is superb to be able to hear this signal of summer once again. 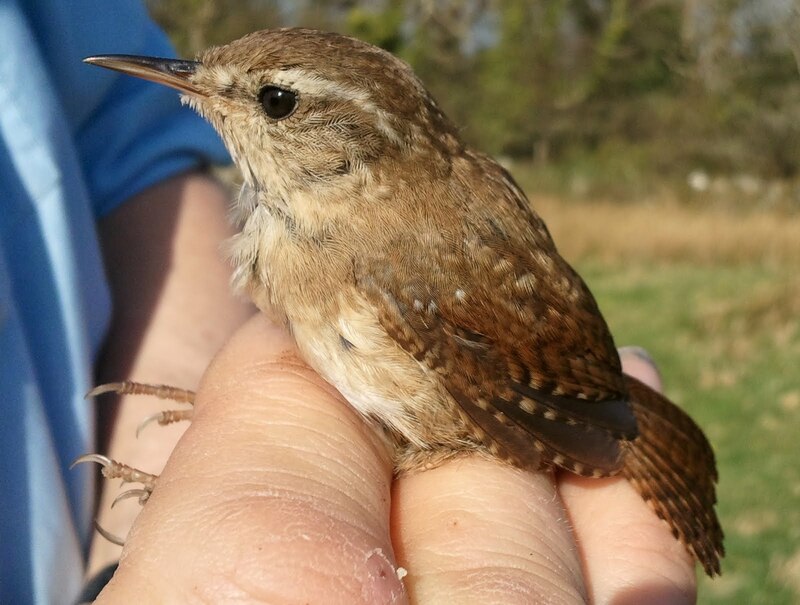 I had the lovely pleasure of extracting and ringing my first Wren, Willow Warbler and Linnet this morning which was a privilege for sure. I was caught out by the above Chiffchaff as in the hand it initially was a classic Willow Warbler as it was very bright with an extensive Supercillium and with dark legs. 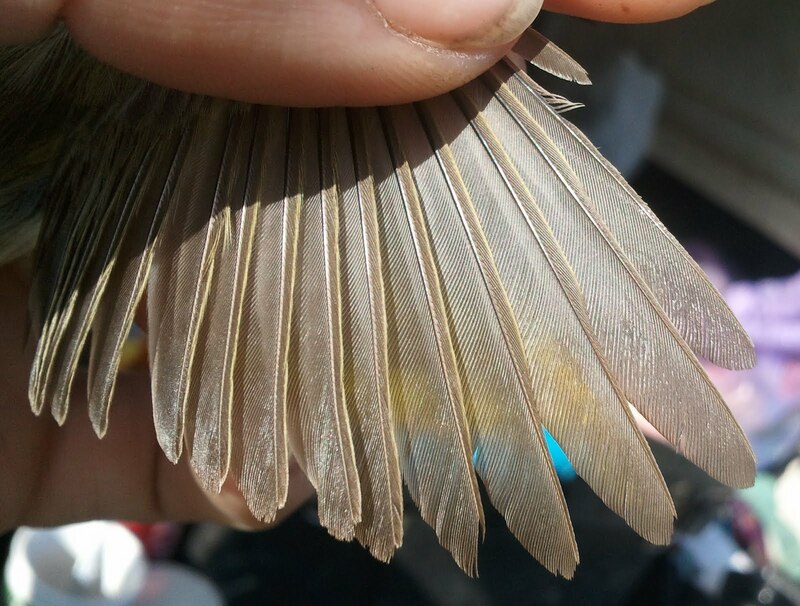 It was not until we measured the wing at 56mm that we suddenly questioned it and double-checked the imarginations in the primaries to discover that the 6th Primary was imarginated (visible in the above picture) showing that it was in fact a Chiffchaff, albeit bright! 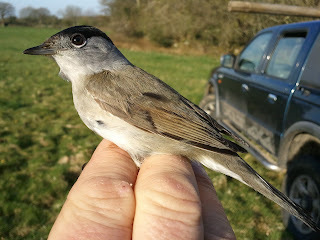 Other birds heard/seen on site included 2 singing Grasshopper Warbler which equaled my earliest date (Equalling 09/04/2006's bird at the Heswall Alpine Swift twitch) as well as a steady 'chorus' of Lesser Redpoll over. We had a second attempt this evening to try for the Linnet roost, but they were very scattered and we only managed to catch 2, as well as 5 Willow Warbler, Chiffchaff, Goldcrest and Song Thrush.